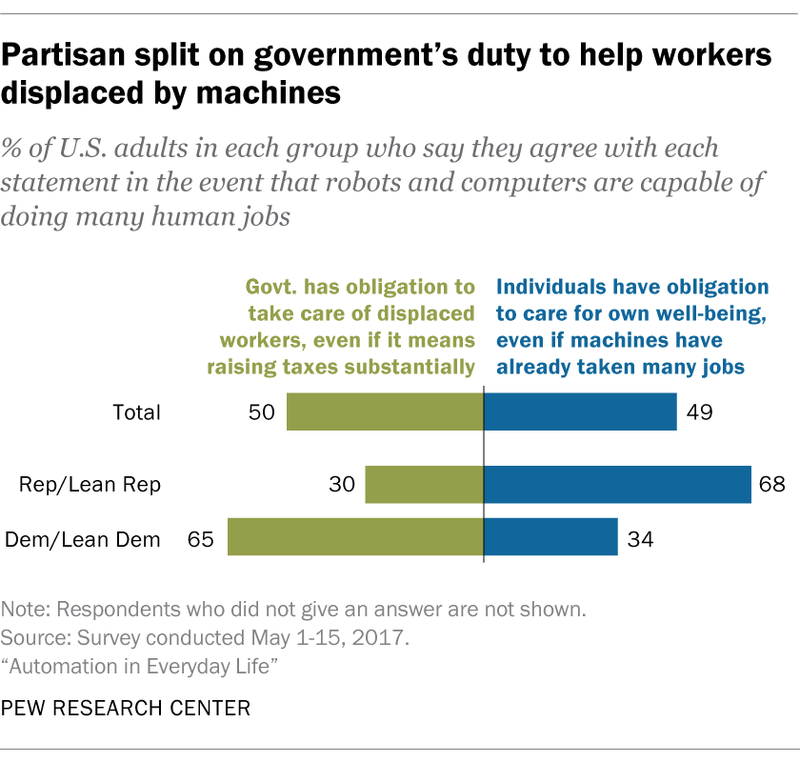 7 Americans are divided over whose responsibility it is to take care of displaced workers in the event of far-reaching job automation. 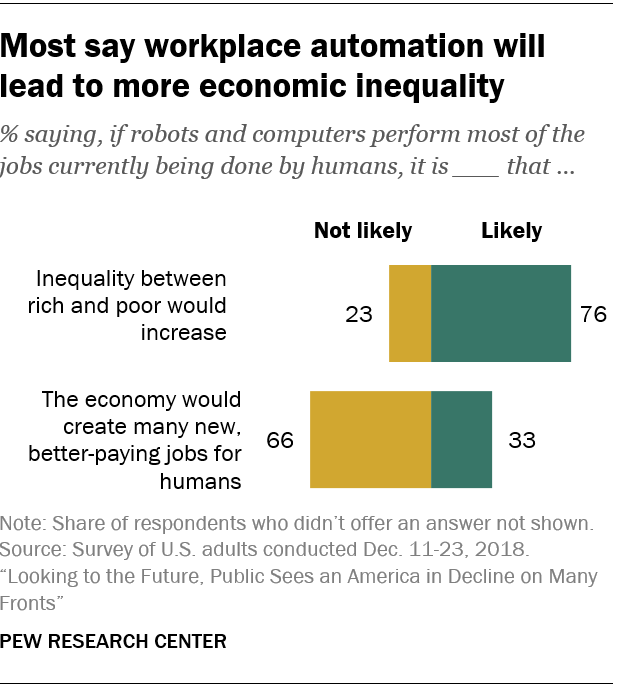 Half of U.S. adults said that in the event that robots and computers are capable of doing many human jobs, it is the government’s obligation to take care of displaced workers, even if it means raising taxes substantially, according to the 2017 survey. 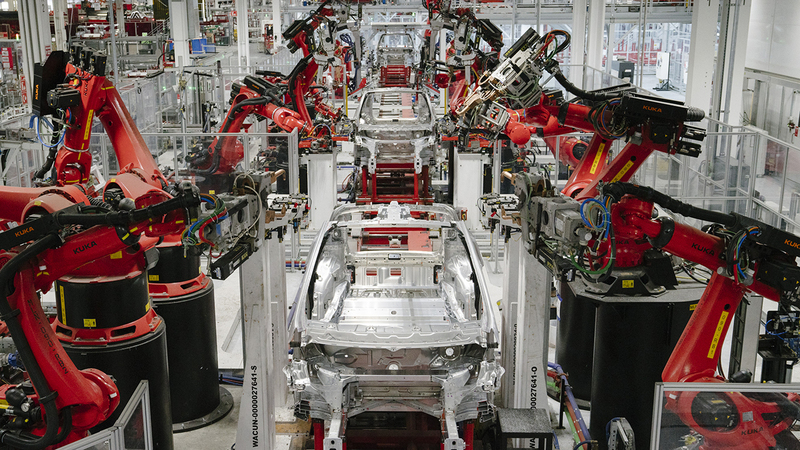 A nearly identical share (49%) said that obligation should fall on the individual, even if machines have already taken many human jobs.